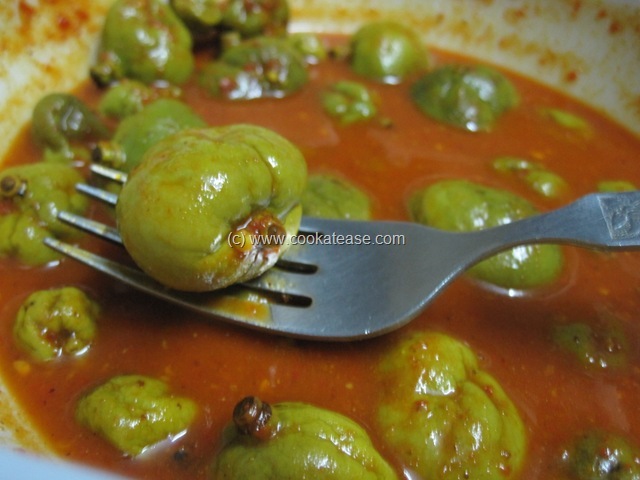 Vadu Mangai or Mavadu is a popular pickle of Tamil Nadu. 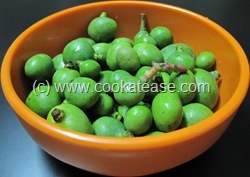 Baby (tiny and tender) raw mango is known as Mavadu in Tamil. 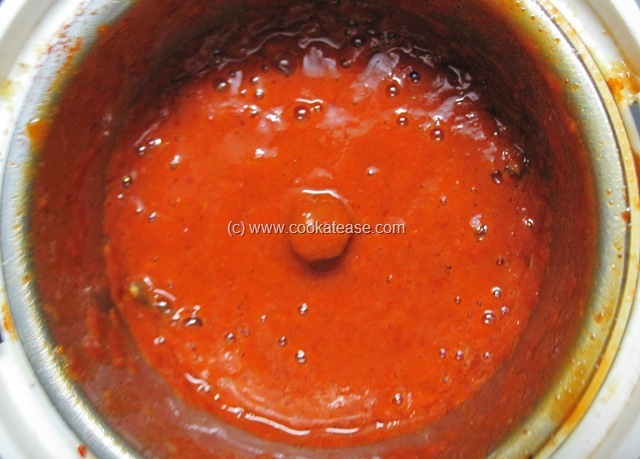 Mavadu is soaked in specially made red chilli sauce with very less oil. 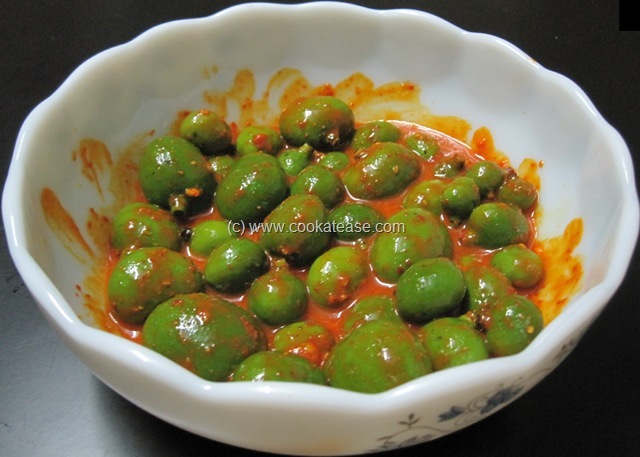 The preparation is very simple with few ingredients. 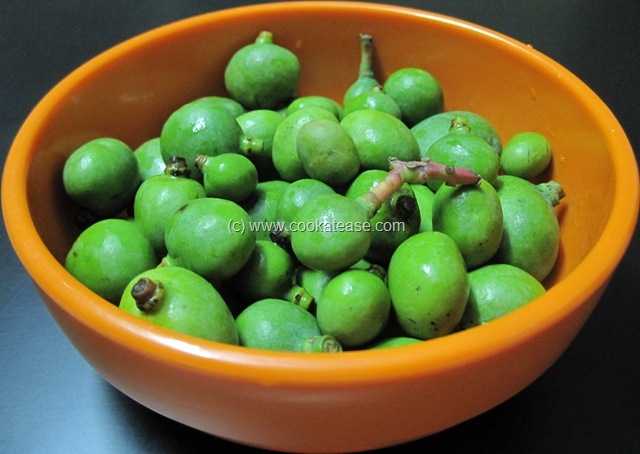 This is also a summer special pickle, as baby mangoes are available during the commencement of summer season. Vadu mangai goes well with Thayir Sadam (curd rice). More than the mango, the mango soaked red chilli sauce tastes great. 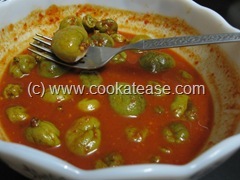 Normally this pickle is made in large quantities, preserved in earthen jars or ceramic jars and used for many months. But now as this pickle is sold in the stores, it is very rarely prepared at home. 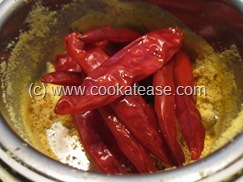 We can use either red chilli powder and turmeric powder or we can grind fresh at home to use in this pickle. 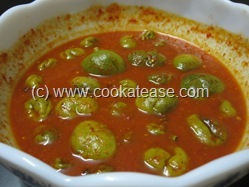 As I prepared this pickle with 250 gms of mango, I preferred to use fresh spices. Also castor oil is used in this pickle. 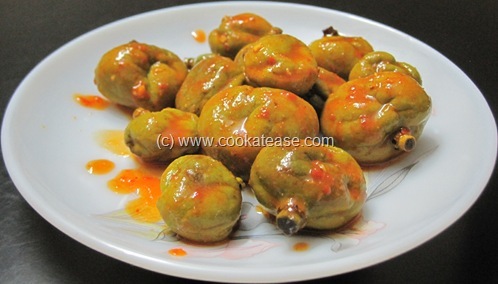 Wash baby mangoes and dry them with a clean cloth; mix castor oil well in this so that each mango is coated with oil. Here is the standard measurement I followed to prepare this pickle. 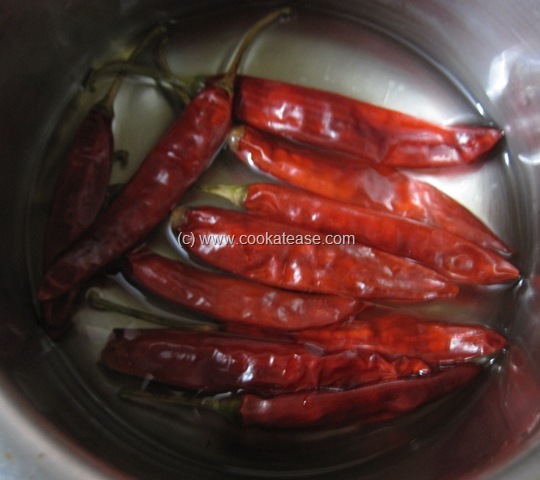 Boil ½ cup water; when warm put the red chilli in this and keep for 20 minutes. 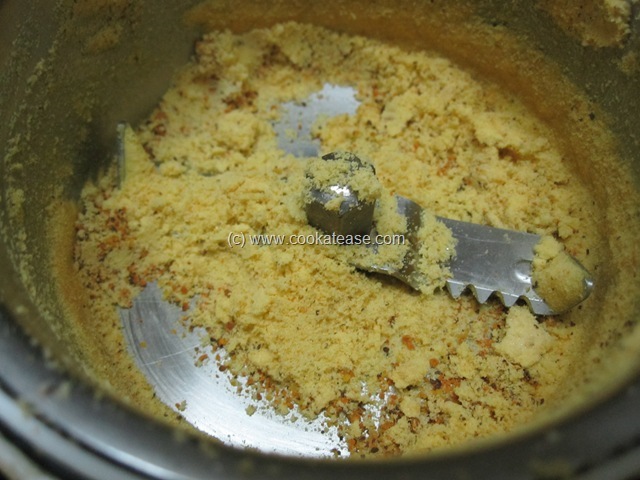 Grind salt, turmeric and mustard to a fine powder. Add soaked chili with water and grind to a paste (I call this as red chilli sauce). 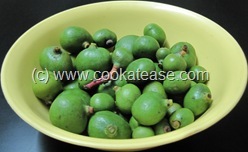 Mix it with oiled mangoes; keep the container covered; toss twice a day for the next two days. From 3rd or 4th day the quantity of red chilli sauce increases as juice is released from the baby mangoes and the outer skin of mango starts wrinkling; this is the right time to start using this mango. 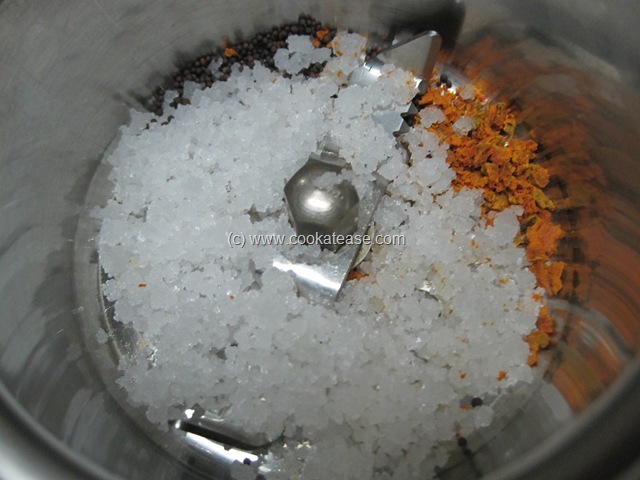 Measure the mango and take spices in the given proportion; powder turmeric, mustard and red chilli; in a container or jar in which you are making pickle, add some salt; then add some oil coated mangoes; then add some ground spices; again repeat this process with remaining salt, mangoes and spices. 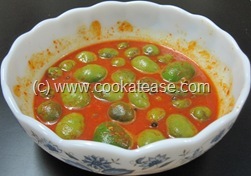 Keep the jar covered; then mix with a clean dry spoon twice a day for the next two days; from 3rd or 4th day the quantity of red chilli sauce increases as juice is released from the baby mangoes and the outer skin of mango starts wrinkling; this is the right time to start using this mango. For both methods toss or mix twice initially and later once in 2 or 3 days; here are mangoes out of red chilli sauce to show the wrinkles. 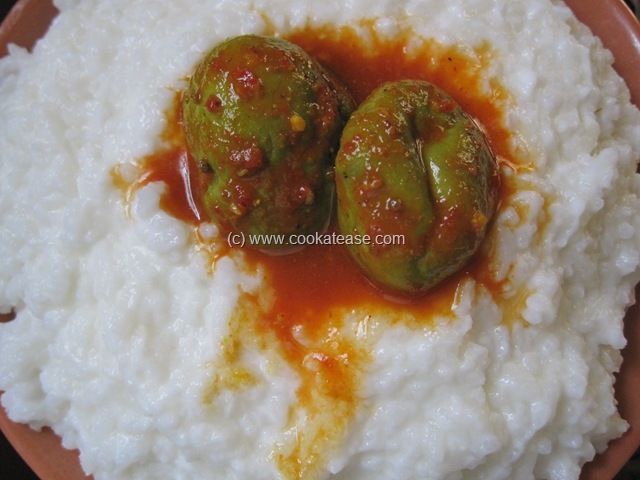 Vadu Mangai/Mavadu tastes nice with Thayir Sadam (Curd rice). Select round, tiny, tender raw mangoes with stems for this pickle. 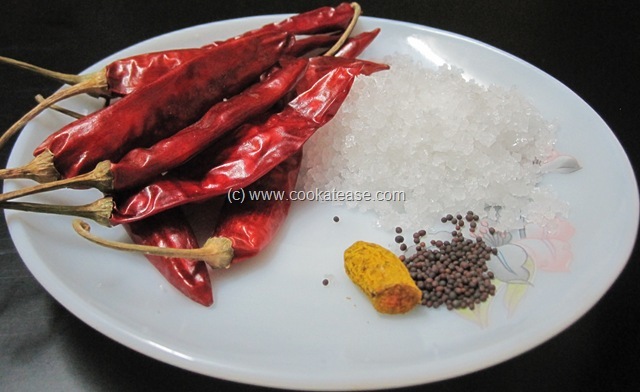 Right amount of salt with proper precaution/handling, keeps the pickle fresh for long time. Thayir saadham and maavadu!!! !slurpppppp…am hungry..
OHhhhhhhhhhhhhhhhhhhhhh my mouth is watering like anything ..I wish i am near you to share this some. Hope u give My very fav one. I want to grab that plate. sighhhhhhh that all I can say! 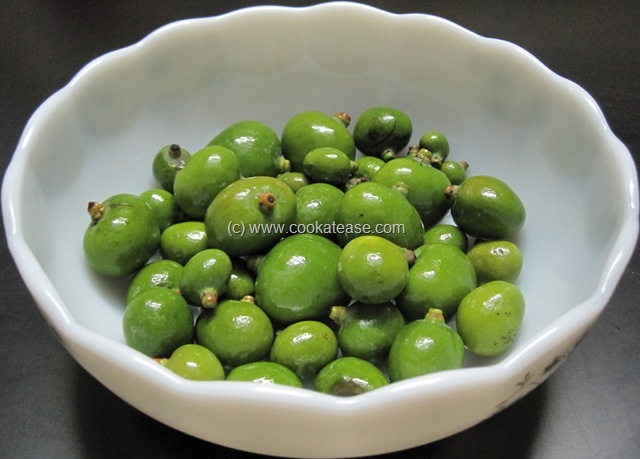 Can you please let me know the availability of the pickle of baby mangoes in Mumbai. ? Baby mango pickle is likely to be available at Matunga/Antop Hill/Kings Circle area. By tradition, only food grade castor oil is used in this dish. If you don’t like castor oil, you may try with ‘nalla ennai’. This recipe looks very authentic and the colour is very nice. Hope I can make mine live up to this standard. Found your reciepe interesting, am going to make it tommorrow. Looks very tasty .Will let you know soon.